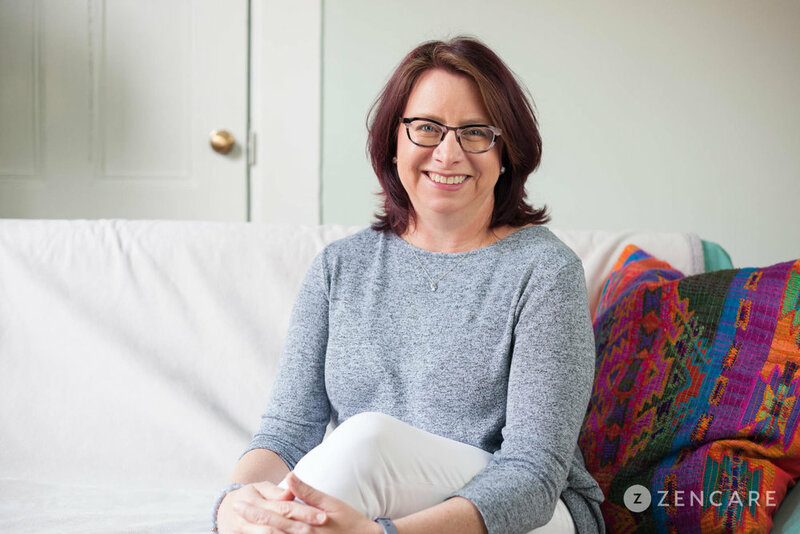 Kathy Clair-Hayes is a Licensed Independent Clinical Social Worker in Jamaica Plain, MA specializing in anxiety, chronic illness, depression, life transitions, and grief. She has a unique specialty in helping clients manage the emotional and physical stress of chronic illnesses. Her therapy sessions are joined by co-therapist and service dog, Thor. 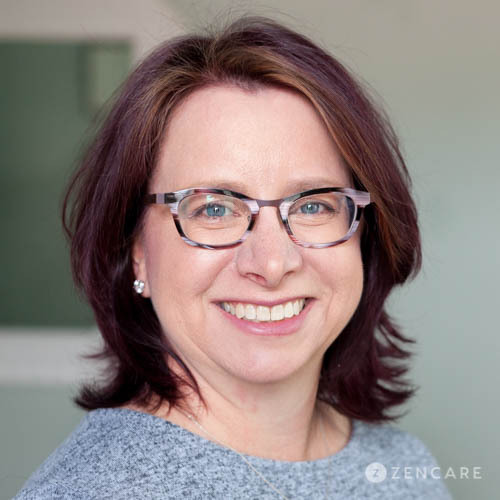 Kathy particularly enjoys working with individuals navigating life transitions, such as beginning a new job, starting school, or becoming a parent. She also has extensive experience and training in supporting those dealing with illness, grief, and loss. She helps individuals deal with a new diagnosis or living with a chronic illness, such as cancer, Lyme Disease, or autoimmune diseases. She also has expertise in helping parents explain a diagnosis to their children and managing the impact of an illness on a family. 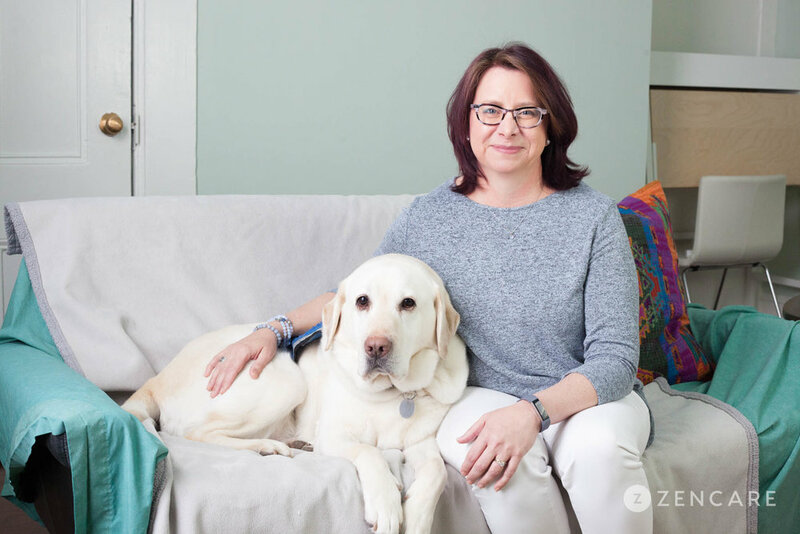 Kathy has over two decades of experience as a medical social worker at Massachusetts General Hospital, where she worked with individuals who have cancer and their families. Her treatment approaches include Cognitive Behavioral Therapy (CBT), Internal Family Systems (IFS), Mindfulness Practices, and Supportive Therapy. Kathy works with teenagers, young adults, adults, couples, and parents. 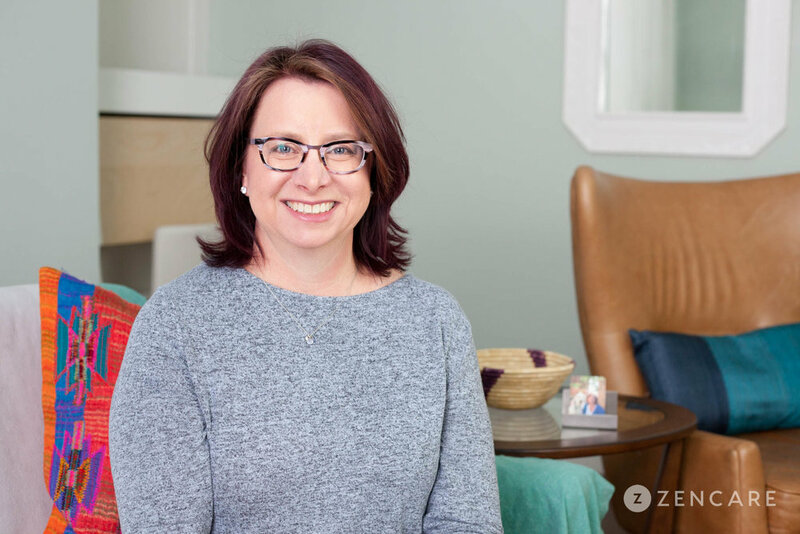 She takes a warm and engaging approach, helping clients embrace their identity beyond a diagnosis and works towards a place of mental and physical well-being. "Thanks for taking the time to learn about my clinical practice and how we can work together. Picking a therapist is a very personal choice. You need to feel that your therapist understands your experience, your challenges and moves you a new way of seeing yourself and your strengths. I provide psychotherapy for teens, adults and couples. I specialize in treating anxiety, depression, trauma, grief and loss, living with cancer (and other medical illnesses), and supporting parents during challenging times. I provide a non-judgmental, safe, warm and compassionate place to look at the challenges in your life: the depression that is keeping you isolated, the trauma that makes you withdraw and feel alone, the anxiety that won’t let you sleep at night. We will focus on building on your strengths, teaching you new coping skills, and actively witnessing the reworking of your story. Thor is an integral part of my psychotherapy practice and is present during all my therapy sessions. 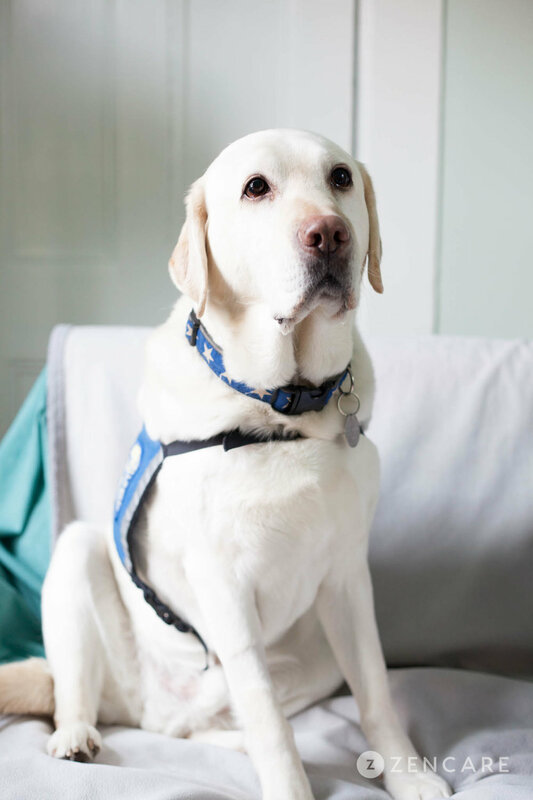 He is a six-year-old yellow labrador/ golden retriever mix who has been bred and trained as a service dog by Canine Companions for Independence (CCI). Many clients choose to invite him up on the couch or have him sit close by during a session. 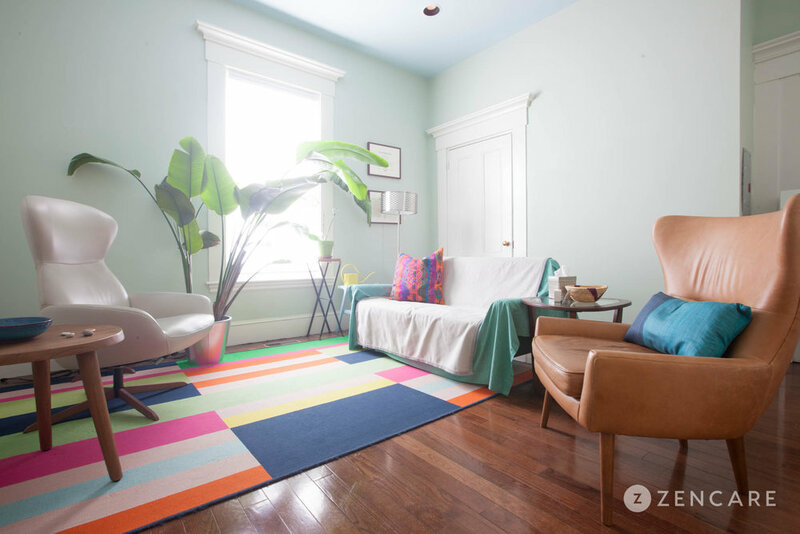 It is very common for clients to say that having Thor in the room helps them trust, feel safe, and calm. Note: If you have allergies to dogs or a fear of dogs, we will not be the right choice for your therapy team. I look forward to connecting with you!"